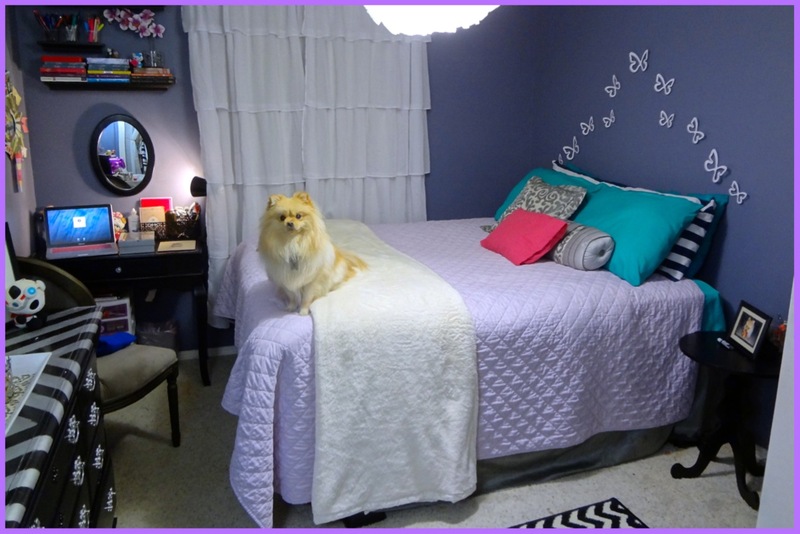 My Bedroom: Questions, Size Debate, & Where Did You Get That? I've been a little busy working on a project as well as school, if you have been noticing the lack of blog posts and my once a week videos. When the time is right I'll you in on the situation, but for now its a secret. Recently I've been bombarded with questions about my room and I'm here today to ease your mind and end the restlessness. Room Size: Probably the most asked question and one thing everyone has been debating on. My room is technically not the smallest of the bunch, however it is still considered small. I can tell you it is no where near medium sized. I've said it before and I'll say it again, its the arrangement and the small details that make everything worth while. My bed and my curtains are actually raised a little higher than it should be. This gives an illusion of a bigger space. Go try it out! It took me 4 years before I realized the potential of my space. Curtains: Are by xhilaration and can be purchased at Target. 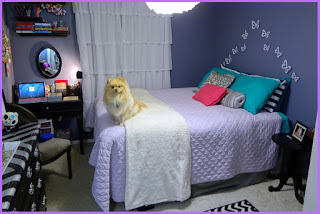 Bedding: The Lilac reversible quilt is by xhilaration as well as the plush white blanket, body pillows can be purchased at Target. My teal sheets are from the Wal-Mart college collection. Side Table: Wal-mart online, its currently unavailable. Vanity: A birthday gift turned DIY, if you will. Chair: Elle dining chair, from World Market Cost Plus. Rug: I got it for $30-$40 on eBay.